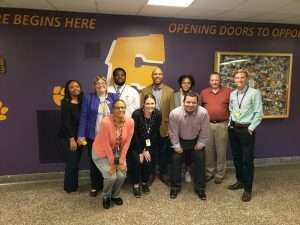 MADISON, Wis. – October 9, 2018 – The principals of each of Madison’s 50 public schools were accompanied by local business and community leaders, dubbed “Principal Partners” earlier this week as part of the Foundation for Madison’s Public Schools fifteenth annual “A Principal Experience.” During their time as Principal Partners, they had a chance to learn firsthand about the challenges and rewards local school principals navigate every day. 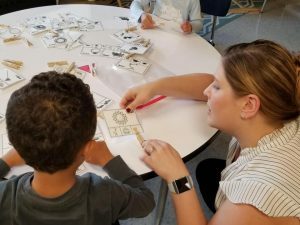 Jessie Small, of Total Administrative Services Corporation (TASC), accompanied Principal Carlettra Stanford at Mendota Elementary School to classroom visits, meetings and conversations with students on Tuesday morning. Mendota is one of four designated Community Schools in the Madison Metropolitan School District. Consider a gift to the Foundation to keep programs like A Principal Experience thriving in our schools! During the afternoon, Principal Partners met at the Alliant Energy Center for lunch and a discussion forum, moderated by Jason Ilstrup, President of Downtown Madison, Inc., who shadowed Principal Ben Ketterer at Glendale Elementary School earlier that morning. Partners reflected on their morning at the schools and heard from Superintendent Jennifer Cheatham on the importance of school-community partnerships to ensure each school in our community is a place where students, staff and families can thrive. 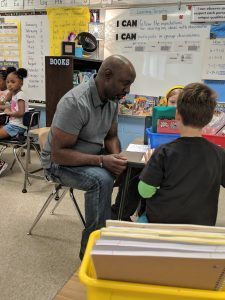 Indeed, service as a Principal Partner is often the catalyzing experience that compels local leaders to “adopt” a school on behalf of their company, department or faith community. Pam Terry, of Demco in Madison was partnered with Principal Beth Lehman at Hawthorne Elementary, a school that Demco adopted in 2011. To see a complete list of 2018 principal partners and how you can get involved, please check here. 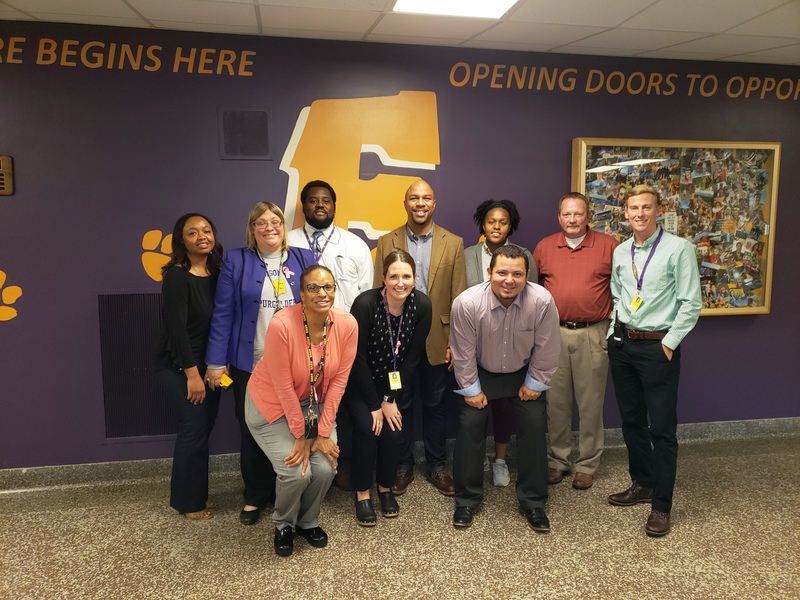 The Principal Partner team at East High School joins principal Mike Hernandez in the hall.